This language purposefully gives prosecutors a great deal of leverage when levying a Robbery charge. What are the potential punishments for Robbery in Florida? Punishments for Robbery charges are principally addressed by Florida Statute 775.082, 775.083 and 775.084. There are many different levels of Robbery, punishable by different levels of service to the state (hard prison time) and monetary fines. Robbery – The basic charge is a second degree felony. You may serve up to 15 years in state prison. Armed robbery – This is a first degree felony. You may serve up to 30 years in state prison. Armed robbery with a deadly weapon – This is a first degree felony. You may serve up to 30 years in state prison. There are some Robbery charges that carry a maximum life sentence. In addition to the prison time, you may also be held responsible for a maximum $10,000 fine, a criminal record that cannot be expunged, community service and relinquishing certifications that you may have. Robbery charges are also subject to the 10-20-life firearm law that is addressed in Florida Statute 775.08. Robbery charges within the jurisdiction of Florida are also subject to the Federal 3 Strikes Law. What are the best defenses to a Robbery charge in Florida? For instance, if the prosecution alleges Robbery With a Deadly Weapon, it must prove all aspects of this charge. A precise, professional defense against an inappropriate charge can serve as a partial or full defense against the charge. Robbery is also different from Theft under Florida law. Florida law does allow for affirmative defense that may resemble a robbery under certain mitigating circumstances. However, proving that you had the right to an affirmative defense can be a tricky case. There are other defenses that an experienced attorney may be able to cultivate under Florida law. 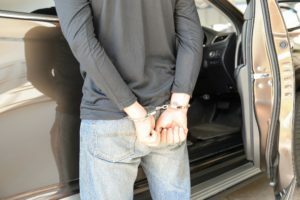 How do I defend myself against a Robbery charge in Florida? Your arresting officer will take copious, detailed notes of every aspect of the incident in question. These officers are trained on how to present this evidence in court as well. Your defense must be just as professional in order to hold weight in court. Remember – no one making the decision about your future was actually at the scene. Your life hinges on your presentation.